← The journey of a lifetime. If you haven’t noticed by now, I love small organizations comprised of a few people doing incredible things. And Poverty Eradication Network (PEN) Trust certainly fits that bill. Its two directors are Mungwe ABC Athman and Andrea Wall in Dodoma, Tanzania– and this duo knows how to get things done! Andrea Wall was a former kindergarten teacher in Minnesota, who first went to Tanzania in 2001 with a church group and fell in love with the country and its people. While her American classroom was crammed with toys and teaching materials, she noted the children of Tanzania didn’t even have access to a pencil, much less books to encourage literacy. Wall watched as a pastor gave a Tanzanian mother a brand new shiny yellow pencil and the woman jumped up and down in joy – then promptly broke it into three parts: one for each of her children. Wall vowed right then and there to return to Tanzania and do something to help. 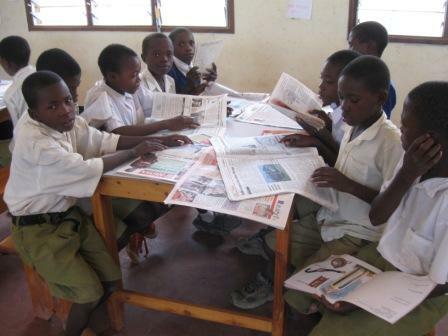 Schoolchildren can read current newspapers every day at the Chalula Library. Never underestimate the iron will of a kindergarten teacher! By 2004, Wall had moved to Dodoma, the capital of Tanzania and partnered with Athman to start PEN Trust, a nonprofit dedicated to alleviating poverty through educational scholarships, the construction of schools and distribution of books and school supplies, the formation of seed cooperatives, and the distribution of fortified rice meals. 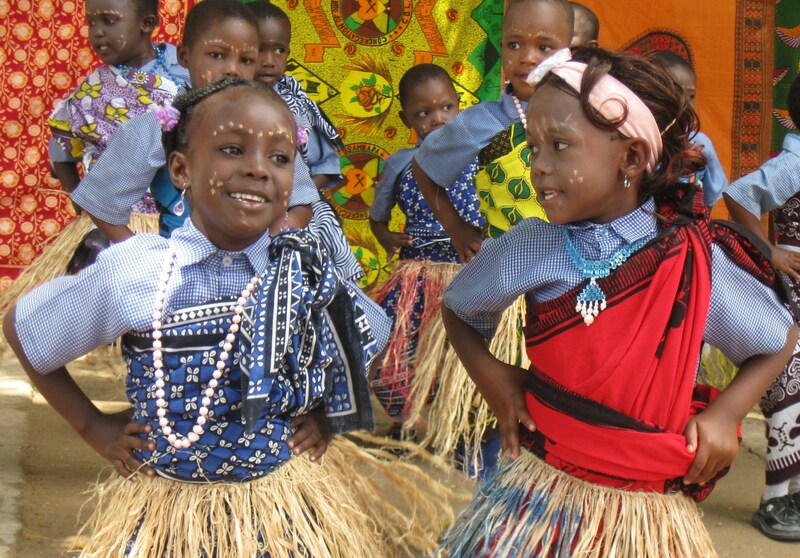 PEN also has a sister program in Minneapolis where Tanzanian crafts can be sold, clothes donated, and funds raised. 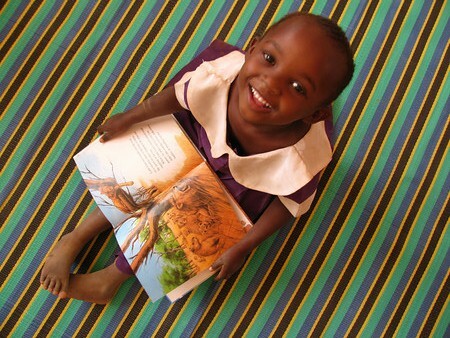 PEN works closely with Books for Africa (see post on 8/10) and has distributed hundreds of thousands of books to public libraries, orphanages, hospitals and schools. One of its recent triumphs is the Chalula Community Library, built by Bruce and Rosemary Harris through Friends of African Village Libraries, in the small town of Mvumi outside Dodoma. PEN has helped stock it with books, learning materials and literacy-promoting programs like bookmaking– and the children are thrilled. Making books about colors--this one's orange! 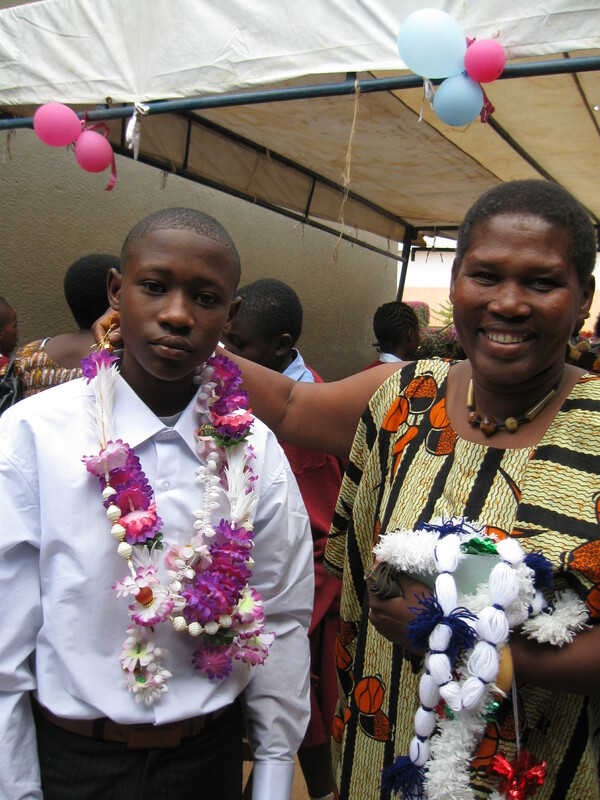 Scholarship student Japhet Nzuzu and his mom at graduation. PEN also sponsors 5 children in primary, secondary and university programs who would otherwise never be able to afford an education. And its seed and nutrition programs are a lifeline of help to those who might otherwise go hungry. 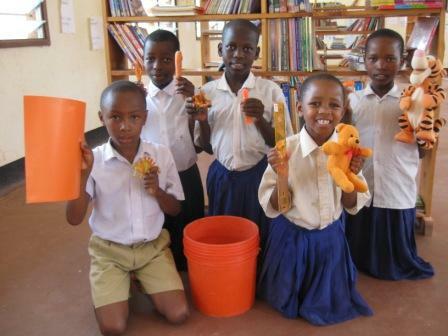 For Andrea Wall and Mungwe Athman, following their hearts and stepping out in faith to help the people of Tanzania create a better life for themselves, my $100 today goes to PEN Trust… in the fervent hope that someday, there will be pencils, books and food for everyone! Click here to join me.